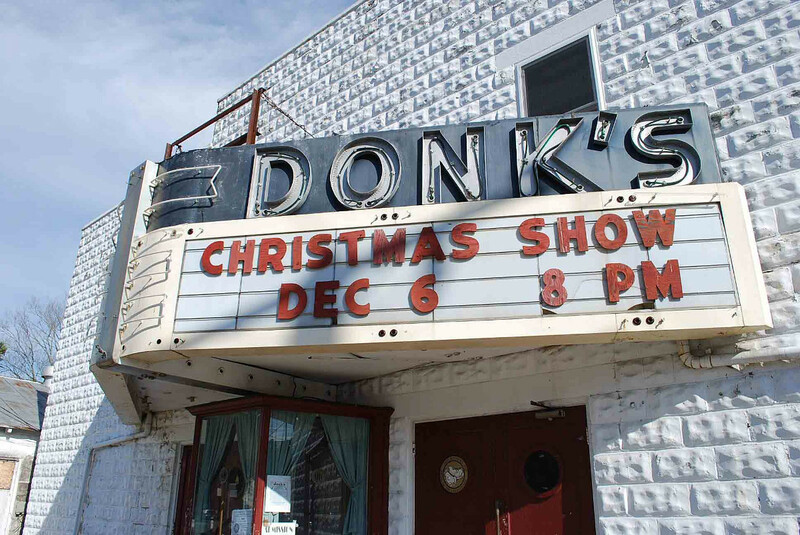 Donk’s Theatre, in Mathews County, built during 1946-47, operated as a motion picture theatre until 1970. It reopened in 1975 as a live country music theater and continues as such today, hosting many well known stars. Built by county entrepreneur W.C. “Donk” Dunton, who established several other neighboring businesses, the theater, with Art Deco touches, exemplifies the kind of simple and inexpensive theater construction found in many rural communities during the post WWII years when cinema ruled the entertainment world. At the time of listing, the less-than-one-acre property included only the theater building, a good example of a vernacular commercial building with Art Deco flourishes as well as an original marquee with neon lights. During a snowstorm in January 2016, the theater’s roof collapsed from the weight of snow; the collapse also damaged perimeter walls. 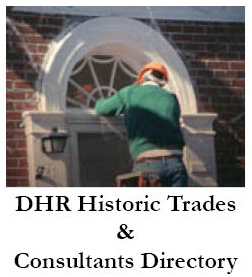 Inspection of the building after the storm revealed that the remaining walls lacked structural integrity and the locality’s building inspector required that the remaining structural elements be removed.